Now bfresh customers can access the world's largest food sustainability database in their neighborhood store. HowGood food ratings can now be found at all three bfresh markets throughout the Boston area. 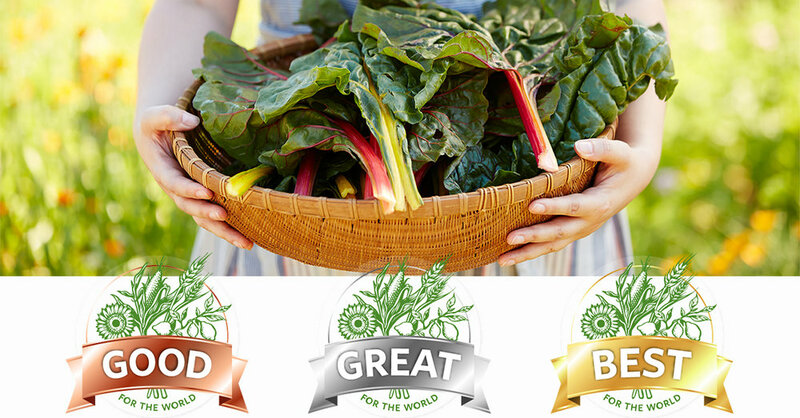 Shoppers can confidently identify the most sustainable foods on the shelves with our “Good,” “Great,” and “Best” rating tags. A newcomer to the retail scene, bfresh opened its doors in September 2015 and has since expanded to three locations throughout the Boston area. Bfresh's offerings are a nod to its name: an abundance of local, organic produce, freshly made to-go meals, and name brand staples for the at-home chefs. Their "Little Kitchen" keeps customers content with daily prepared dishes like spicy peanut noodle bowls, oversized baguette sandwiches, hearty soups, salads and sushi. Our ratings highlight the most sustainable, wholesome, and honest foods on the shelves, in turn supporting a better food system. We are currently the only company to rigorously research the goodness of food products based on multiple metrics, and then highlight those ratings for consumers directly at the point of purchase. Our research team has rated over 250,000 food products to date, examining each item across three main benchmarks-- Growing Guidelines, Processing Practices, and Company Conduct-- to reward those products that are environmentally friendly, less processed, and socially responsible. Shoppers can download our free app to scan a product's barcode and learn more about why it received a certain rating. We are thrilled to partner with a store committed to empowering their shoppers with greater transparency around their food choices!